WordPress powers over 31% of the world wide web, be in the form of websites, blogs, e-commerce portals etc. and understanding it is important for the success of your WordPress website. There are several WordPress training courses online, right from learning how to use WordPress to developing applications for WordPress. Depending on your needs you can choose a course to enhance your WordPress skills. In this post, we’ll cover the top 5 websites that provide the best online WordPress courses to help you with WordPress. Lynda.com founded in 1995 by is a well-known leading online platform offering courses in various fields. 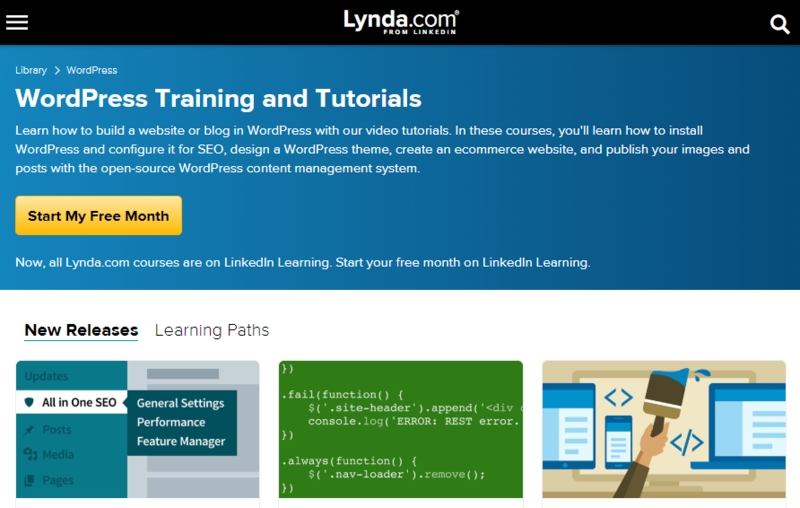 Lynda.com’s massive library includes subjects like development, design, business, web, marketing etc. Among other things, it also offers a WordPress online training course in the web section of the module. Lynda.com has more than fifteen thousand video tutorials to help you learn. It is a responsive website that helps users study on their mobile phones with ease. It also has apps for Android, iPhone and iPad. As a user, you can switch between devices seamlessly. It lets you create your own playlist and manage the courses you want to watch. The videos are created in small segments, so they’re easier to understand. You can bookmark videos, skip chapters in a course as well as watch the entire course depending on your needs. 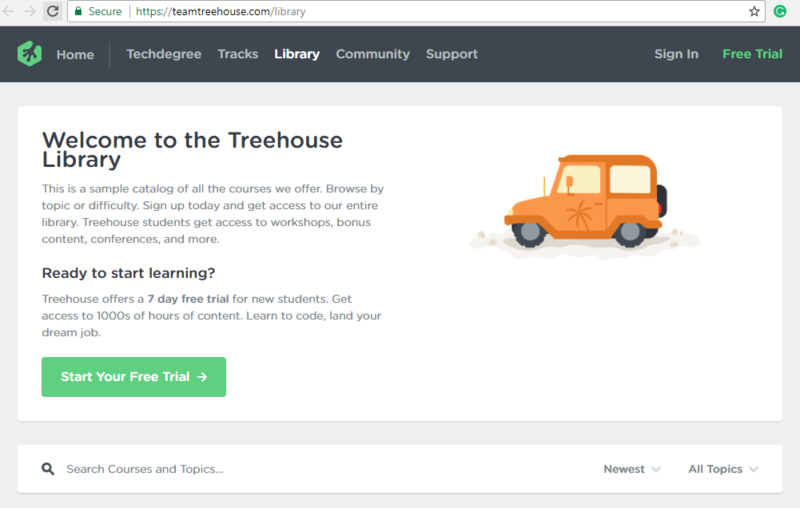 Treehouse is another professional website offering good courses for those in the web design and development domain. It also includes a WordPress online training course helping developers with HTML/CSS that would help them build dynamic themes, plugins and more for their websites. One feature of Treehouse is the ‘Techdegree’ they award learners which can help you secure a job. Treehouse usually has courses focusing on developers, covering a wide range of tutorials in the form of quizzes, workshops, learning objectives etc. Although it has well-tailored videos for their every course, it provides a 7-day free trial post which you can decide if you wish to continue further or skip the course. Launched in the year 2008 WP 101 is a video tutorial that helps you learn WordPress online. It is a freemium course i.e the first week is a free trial period post which you can upgrade. It is ideal for beginners as well as WordPress professionals. 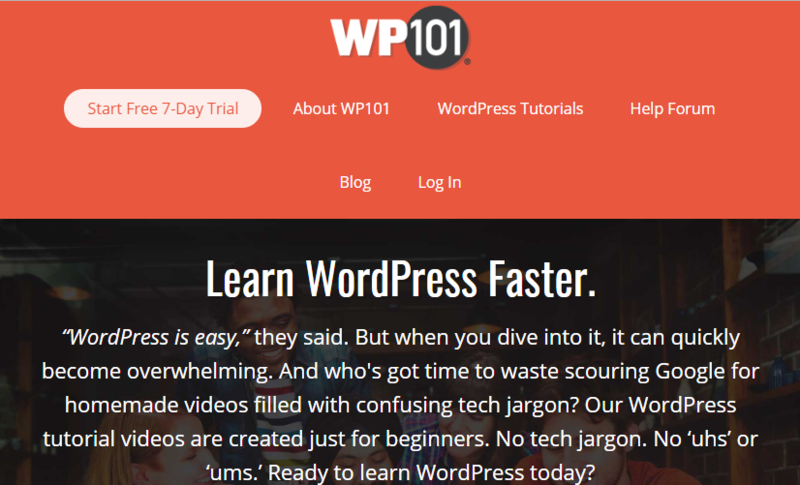 One feature of WP 101 is that it is up-to-date with WordPress and the plugins, so you get to learn the latest stuff. Also, the course can be accessed seamlessly from the desktop as well as mobile. WP 101 also has advanced courses guiding you to understand WordPress plugins like Jetpack, WooCommerce, Ninja Forms etc. 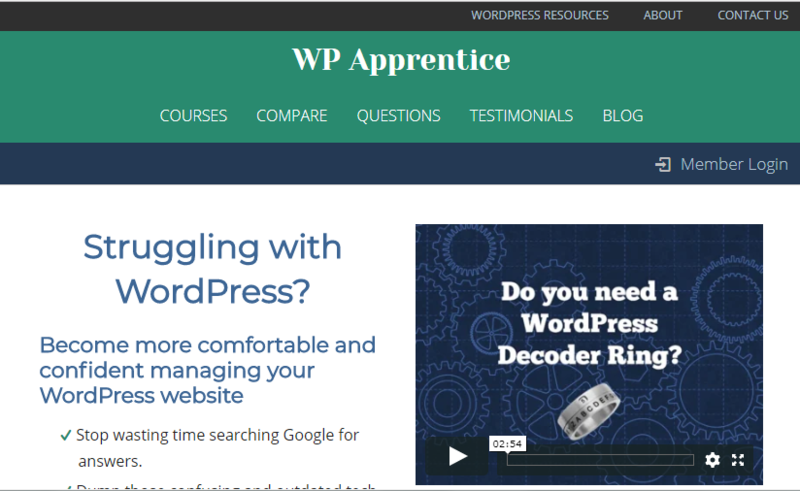 Launched by Kirk Biglione, WP Apprentice provides step-by-step guidance on WordPress. It guides you to learn WordPress online with the help of video tutorials. The focus of these tutorials is usually on business owners belonging to non-technical backgrounds so that they can excel in their online business. 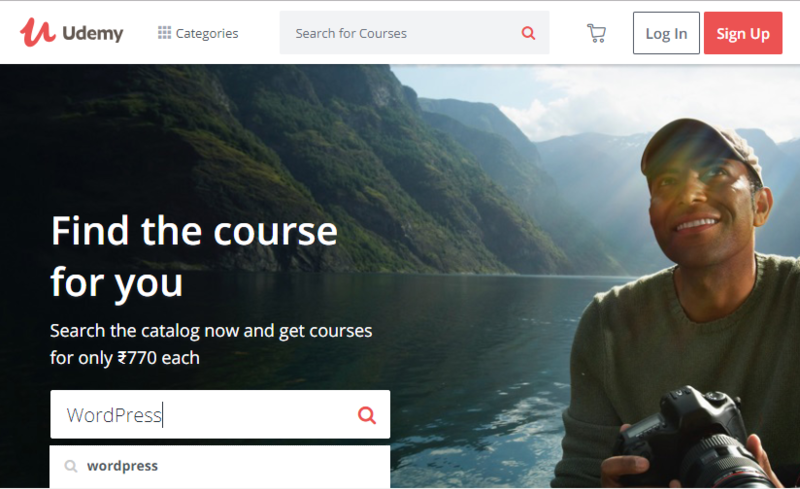 WordPress for Beginners by Udemy Udemy is an online tutorial website that offers various courses right from development, business, lifestyle, photography etc. One of the courses it covers is WordPress. Each of its courses has different trainers and experts depending on the course you choose. Udemy offers a mix of both free and paid WordPress training online. So here is our list of websites that cater to WordPress online training courses some are specific while other cover many courses. To conclude, each course is good and not-so-good depending on what you as a learner are seeking. However, with trial and error, you’re bound to find the best online WordPress course tailored for you. Once you’ve begun learning WordPress it is equally important to try it out yourself. The best way is to host your own WordPress website on a reliable and an affordable WordPress Hosting plan. After all the best learning happens when you apply the learning. Did you have any other courses that you would like to recommend? Post them in the comment section below. Till then happy blogging!